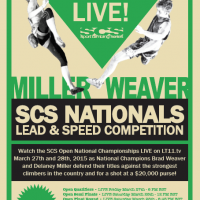 Tonight I will be heading to Watertown, MA to prepare for this weekend’s live coverage of the 2015 edition of SCS Nationals. I’ll be there with the entire LT11 crew at Central Rock to talk at you during all three1 rounds of this year’s sport climbing National Championship. 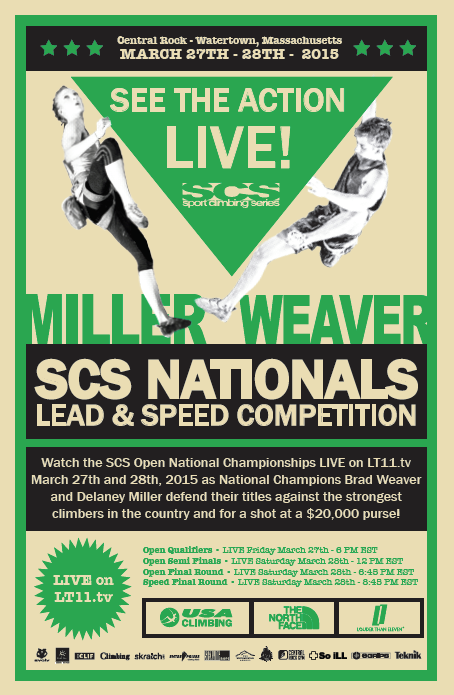 There will even be some bonus coverage of speed climbing finals as well, so don’t forget to tune in all weekend long. Even though I’m an unabashed homer for bouldering comps, SCS Nationals is secretly one of my favorite events of the year. Shh, don’t tell anyone. Is there any information out there on who is showing up? I think running orders will be posted once registration closes tonight.